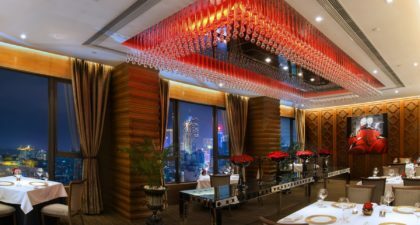 Situated in Macau’s historical quarter, Sofitel Macau’s Privé offers French fine-dining in an intimate, romantic environment. The restaurant strives to bring back the old European tradition of tableside cooking. Certain dishes, like the Caesar salad and the Steak Au Poivre, will be prepared within arms reach of your seat and are a must-try. Their selection of wines and recommended pairings will satisfy wine enthusiasts, while the quality of the service will make for an unforgettable experience. Please note, like its name suggests, Privé is exclusive, so reservations are required.